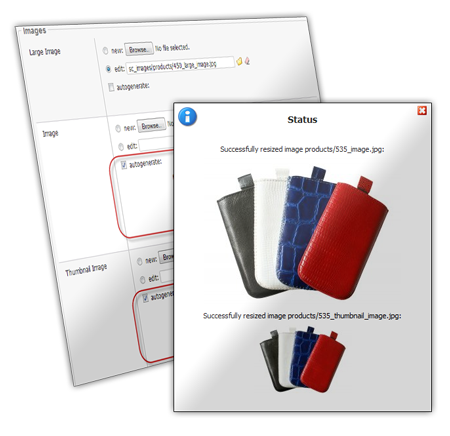 Squirrelcart is packed with many image related features designed to make your products shine, and to save you valuable time! 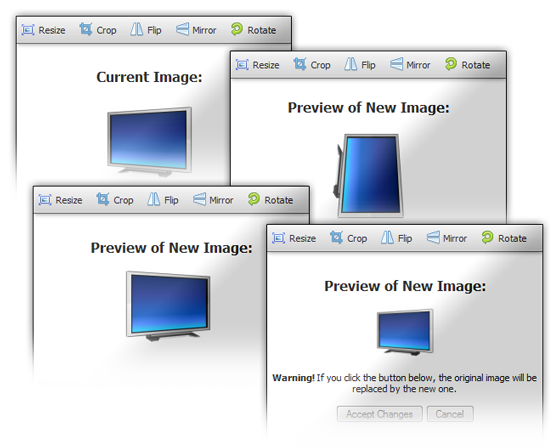 Each primary product image has a thumbnail version, a regular version, and a larger version. These different sized images are used in different places throughout the store. For example, thumbnail images are shown when viewing a product on its category's page. Regular sized images are shown when viewing a product on its own page, and full size larger images are shown when you click on the regular image to view it in more detail. With the autogenerate feature, you can generate thumbnail and regular images from your full size larger image on the fly with just a single click. This will save you the time of having to create three different sized images for your products. You can also set default image sizes for use with this feature, and turn the feature on by default so it works without any extra steps on your part. Why open an image editing program to perform simple image operations? 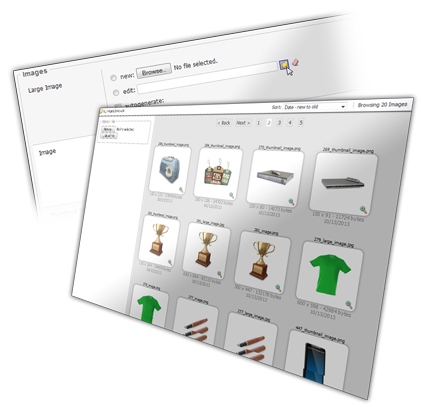 Easily change a product's image by browsing existing images on your server using our image manager. No need to type in image paths. Sort images by size, date, or dimensions. 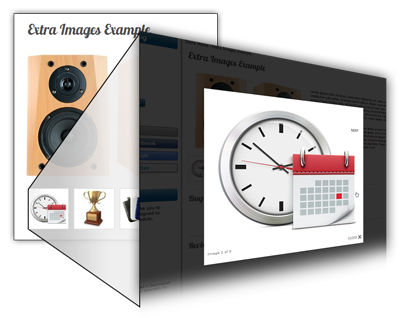 In addition to the primary image for a product, you can assign up to eight additional images. They will automatically appear as thumbnails below the primary image. When clicked, they will open fullsize via Slimbox, with links to navigate between them. PHP must be configured with the GD library, version 1.6.2 or newer. The rotate feature requires PHP 4.3 or newer, and GD 2.0 or newer. These requirements are extremely common, and are present in most PHP installations.